Faster Wi-Fi is a possibility! Just follow these five steps. Tired of slow Wi-Fi? Fear not: Faster Wi-Fi speeds are possible, if you're willing to work (and pay) for them. The good news is that many broadband companies are doing their part. Many cable providers are now offering lightning-fast Internet speeds. But if your Wi-Fi router isn't set up correctly, even Google (GOOGL) Fiber can feel like dial-up. Wi-Fi is a temperamental technology, and a simple oversight can negatively impact browsing speeds. Unfortunately, changing your router's settings is rarely fun. But many routers come with apps that take much of the head-scratching out of the process. If you're brave and determined enough, here are five tips to make your Wi-Fi faster. 1) Choose the right channel and frequency. 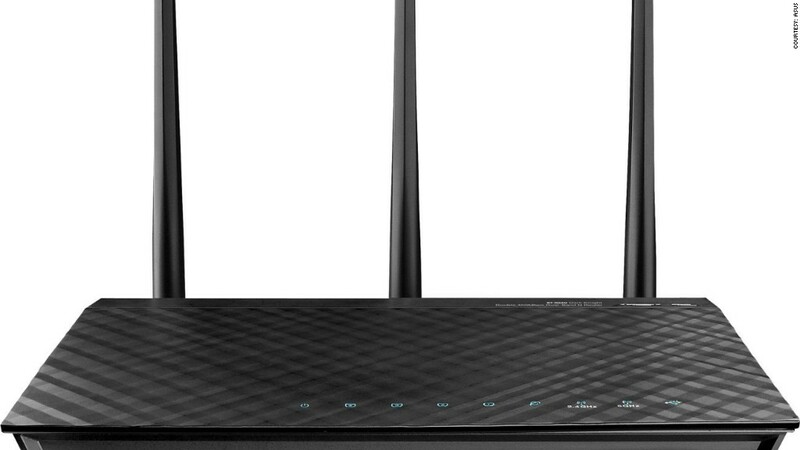 Did you know that your Wi-Fi router has channels? Sometimes, just changing the channel on your router can make a world of difference, particularly if you live in an apartment building with lots of interference from other Wi-Fi signals. Other technologies like cordless phones and microwaves can interfere with Wi-Fi as well. Try channels 1, 6 or 11. If those don't work, go to 2 or 10 next. Hunt and peck until you feel like your speeds are improving. Modern Wi-Fi routers also broadcast in different frequencies: 2.4 GHz and 5 GHz. Generally speaking, 2.4 GHz is better for bigger homes with multiple floors, because the signal travels farther and can more easily penetrate through walls. But for smaller rooms or homes, 5 GHz is the way to go: it offers much faster speeds, albeit in a shorter range. 2) Move your router to its ideal position. Think high and centrally located. A tall shelf in the middle of a room is the best place for your router. If your Wi-Fi router has antennas, and you need the signal to go through a wall, position the antennas in straight angles so they go right through the wall. Signals that travel through walls at an angle can severely reduce Wi-Fi speeds. Also, it's important to adapt to your surroundings -- ceiling height, room size and certain building materials can adversely affect Wi-Fi speeds. Keep your router away from thick walls made of brick or concrete. But the biggest enemies of Wi-Fi are water and windows. Nearby pipes and even plants (there's water in all those leaves) can slow Wi-Fi to a crawl. Reflective surfaces can make Wi-Fi signals bounce at strange angles. 3) Make sure your router is secure. Putting a password on your router or limiting which devices can access your network will keep Wi-Fi moochers from slowing down your network. Also, there are plenty of other good reasons to secure your router beyond faster Wi-Fi speeds. 4) Get a newer router. Are you using the Wi-Fi router your cable company gave you? Did you buy your router during the Bush administration? You probably aren't using the best technology. New routers have smart technology that can send signals directly to devices (instead of beaming signals randomly around a room). They offer faster speeds, multiple frequencies, and smart home technologies that know which of your gazillion connected devices to give priority to (i.e. whatever device you're streaming Netflix on). 5) Buy a network extender. Cheaper than a new router, but still somewhat expensive, network extenders can boost a signal in those hard-to-reach corners of your home. You can even use some old routers as a network extender if you have one lying around.